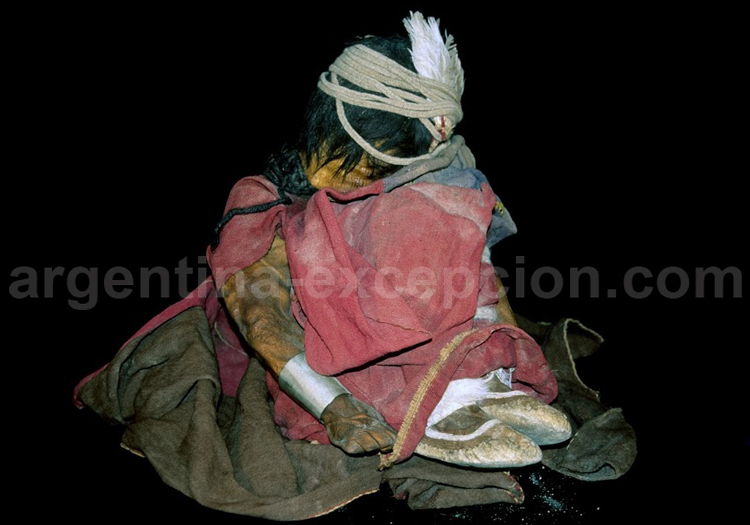 The mummies of Llullaillaco were found at 7,000 m on the volcano Llullaillaco. 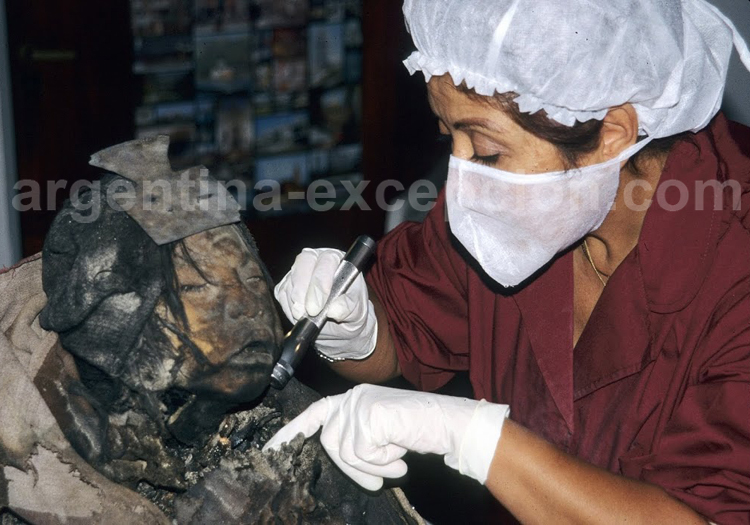 In Salta, the high-mountain archaeological museum (MAAM) was created after the discovery, in 1999, of three mommies of children from the Inca civilization on the Llullaillaco, the third highest active volcano in the world (6.739 m), after the Ojos del Salado and the Pissis. A special sarcophagus has been set to keep and exhibit the mommies: only one of them is exhibited, then changed every six months. They are in exceptional state. A special sarcophagus is prepared to preserve the mommies while exhibiting them: only one of them is exhibited, then changed every six months. They are in an exceptional state, preserved by cold for five hundred years without having undergone the mummification process. According to archaeologists, the children, the noble family have been buried alive, according to sacrificial ritual, with gold statues and different objects and clothing. Small statues, toys were meant to accompany the children in the life after death. 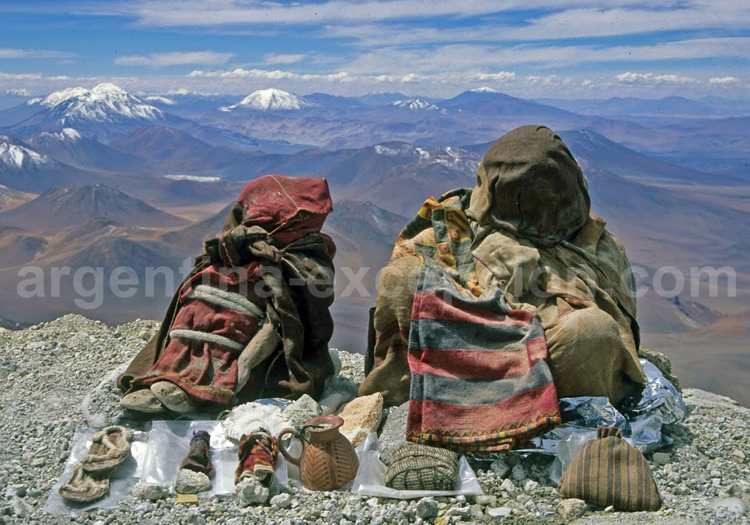 One of them has a bourrelet on her knee: a wad of coca, which indians have the habit of chewing to tolerate altitude. 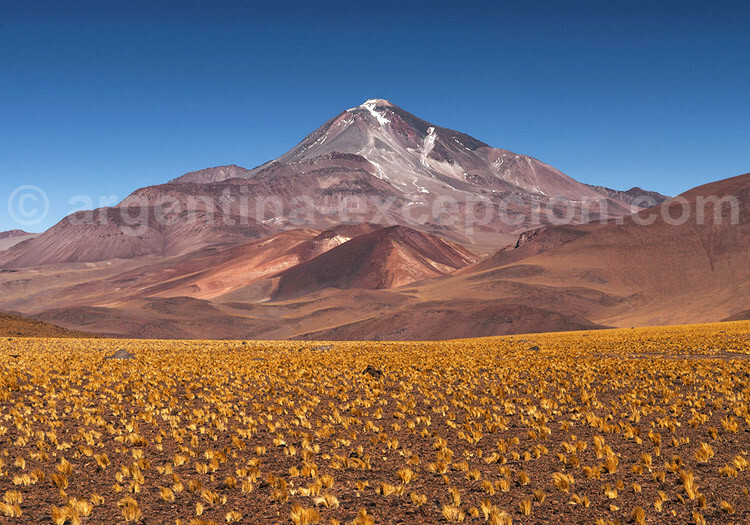 The three mommies found on the Llullaillaco volcano have probably been taken to this sacred site at 6.715m, from Peru. The museum, located on the central park of the city, has explanation boards in French. 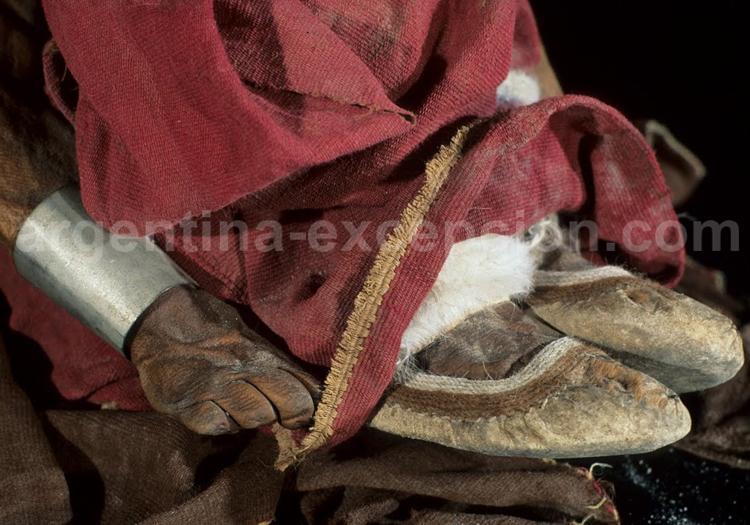 They retrace the epic of experienced Andean climbers during the expedition the mommies were discovered : the equipment of the expedition is also exhibited. 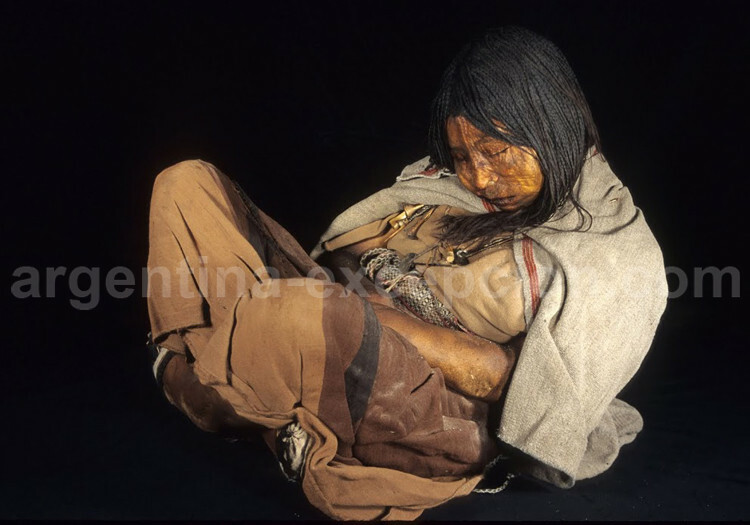 Besides the story of this archaeological discovery, the MAAM proposes numerous themes: we can discover there the characteristics of the Inca Empire and the explanation of its rites. You can therefore understand the geographic importance which the Andes mountains had for the Incas, which were sacred places. 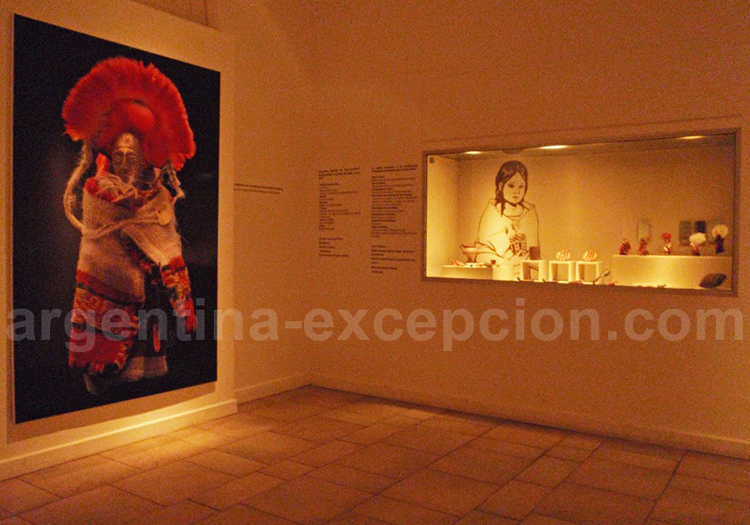 The museum exhibits numerous tissues, highlighting the millenary importance of textile in the Andean region.